Although never our intention when we started this site roughly 3 and a half years ago, we've recently started covering the whisky auction scene a little - first with Bonhams' August 2015 Hong Kong whisky auction, and more recently with their January 2016 auction (not to mention the odd update on UK auctions via our Facebook page). 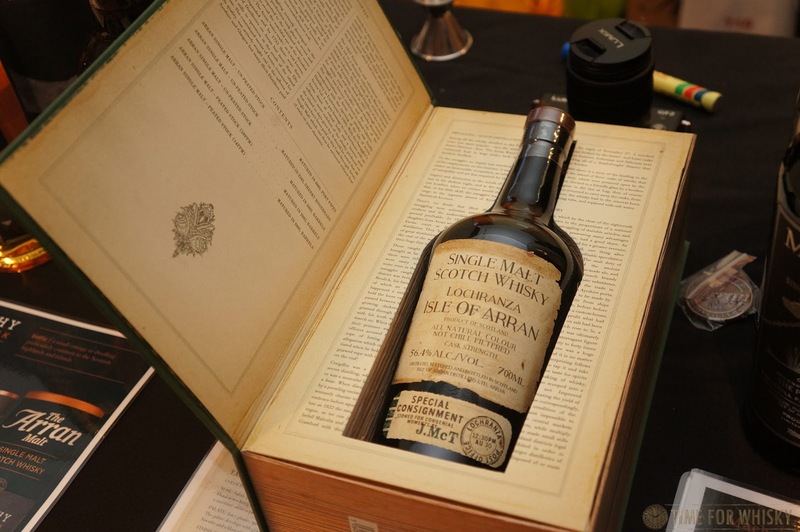 The former saw some incredibly high prices (especially for anything Japanese), whilst the latter saw prices for many lots cooling off a little (while the ultra, ultra rare bottlings still brought in lofty bids). We were keen then to see how Dragon 8's inaugural Hong Kong Whisky auction would fair, held yesterday at the Grand Hyatt's stunning Pool House (also the venue for 2014's Highland Park "Freya" launch). The format and approach taken by Dragon 8 was noticeably different to that of Bonham's (in our opinion, for the better). 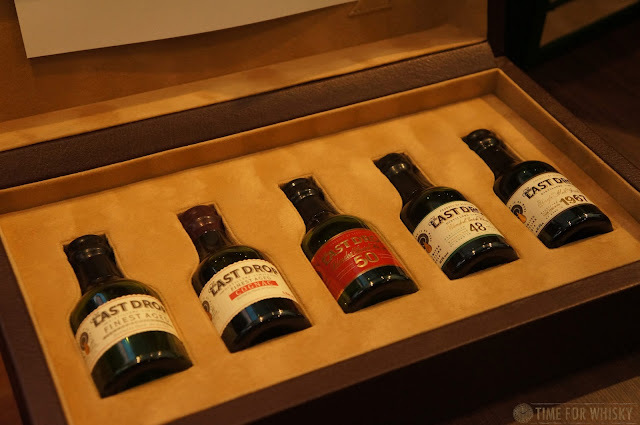 For a start, Dragon 8 clearly took a "quality over quantity" approach, with a smaller, but more focused high end selection of lots (approx 160 in total). 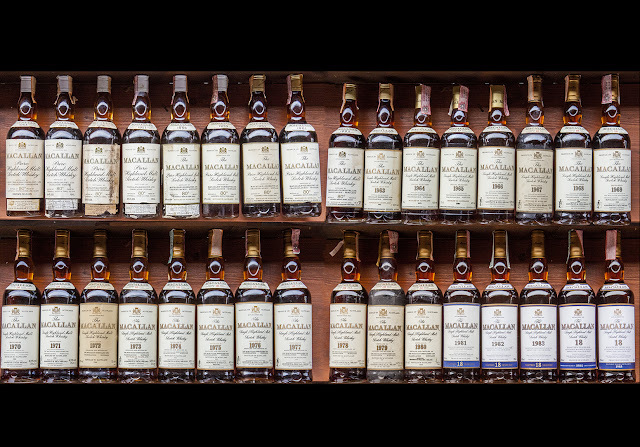 Whisky auctions usually have one or two "highlight" lots, whereas this auction had several - four separate whole casks (The Macallan, Dalmore, Highland Park and Bowmore), an entire vertical of The Macallan 18yo from 1954 to 1985, The Macallan Lalique V 62yo, the 70yo 1940 Glenlivet "Generations" from Gordon & Macphail (AND the 75yo 1939 Mortlach under the same label), not to mention a several bottles from The Macallan Fine & Rare series. 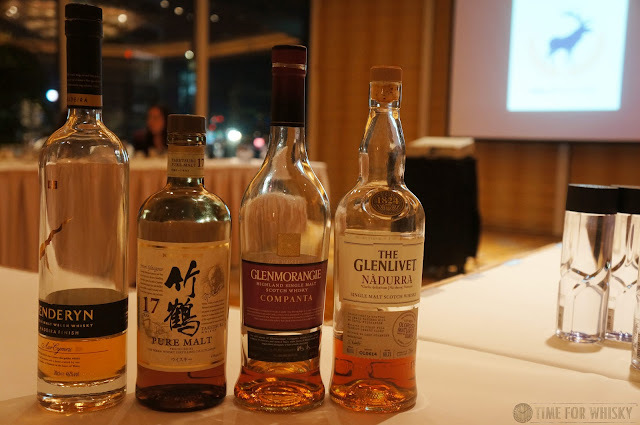 Hanyu and Karuizawa also featured, but Scotch (especially Macallan) was the star. 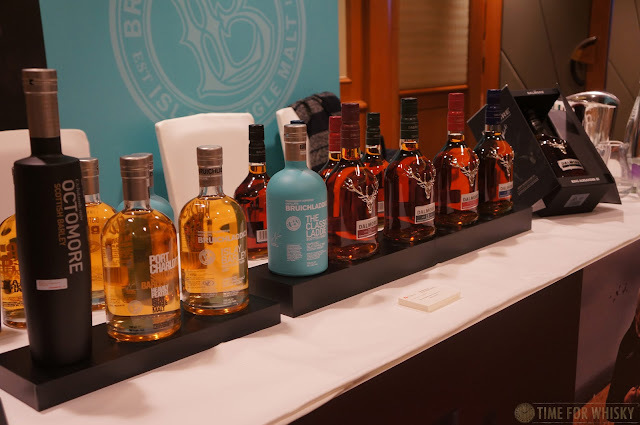 There were even a few interesting non-whisky lots, including a 58yo Long Pond rum, and a 30L bottle (Melchisedech) of Armand de Brignac Ace of Spades Champagne. 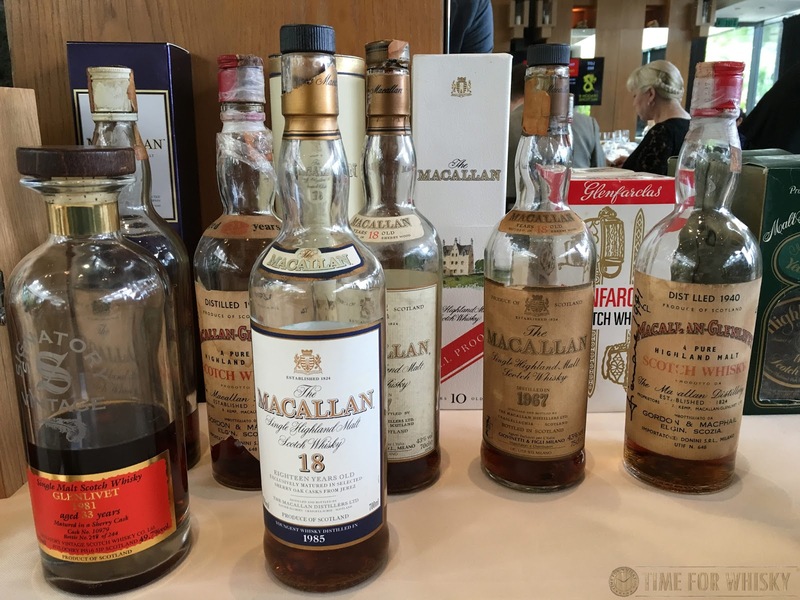 The other point of difference was the set up of the live auction - held in the more intimate surroundings of the Grand Hyatt Pool House, all guests were treated to a buffet lunch with a selection of Champagne, wine and truly fantastic drams on offer (including a few incredibly Rare Macallans, one dating back to 1938. 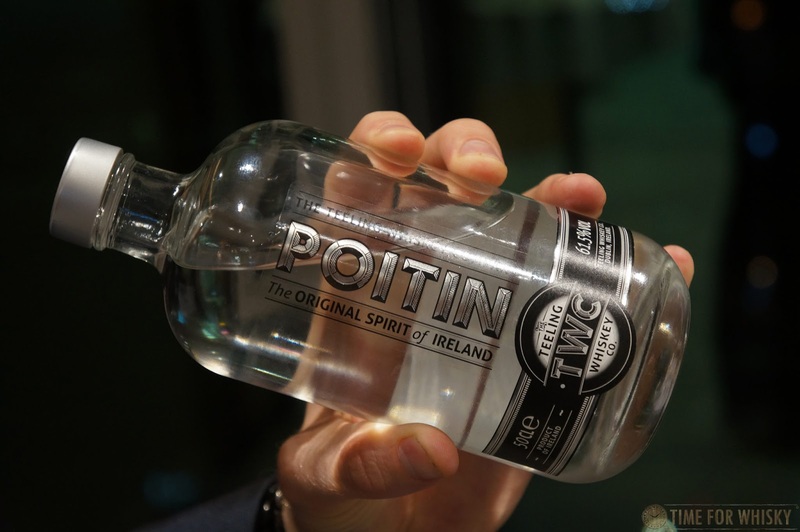 We'll have tasting notes on that one up shortly). 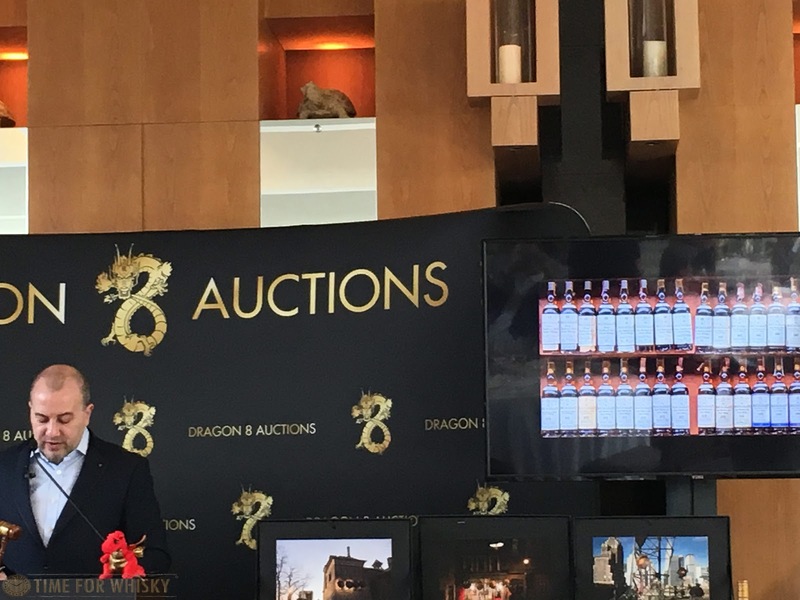 Dragon 8 founder Gil Lempert-Schwarz conducted the auction, and was vastly more entertaining than any other whisky auctioneer we've seen too. So....how were the results? In summary, positive and realistic. 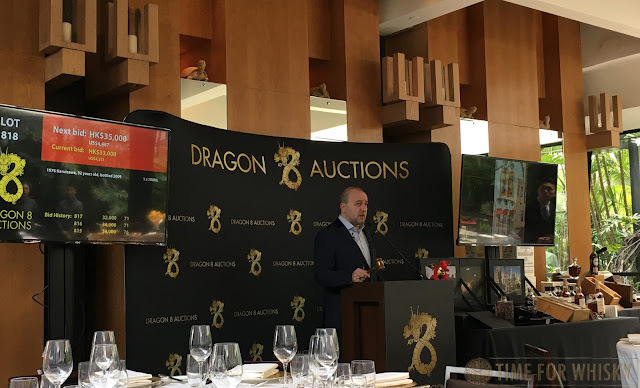 There wasn't a huge amount of frenzied bidding, but almost every lot sold (unlike previous auctions in HK and UK where we've seen several lots passed in), and, as evidence that Dragon 8 had read the market well, most lots sold within, or very close to their estimate range. The Macallan "Fine & Rare" bottlings performed very strongly, proving the demand for rare and aged Macallans is definitely still there. 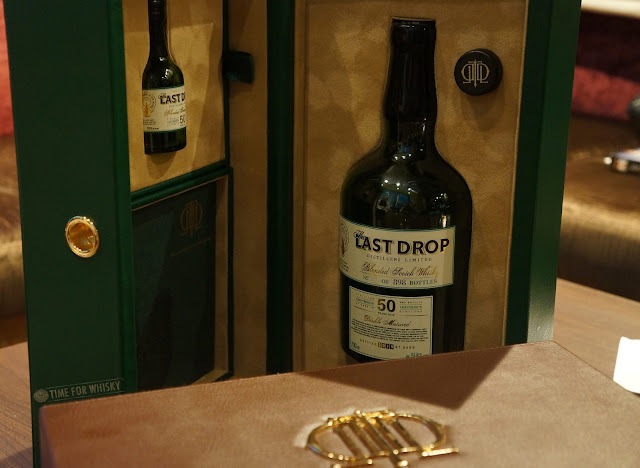 as did Springbanks, Bowmores, and the G&M "Generations" decanters to name a few. 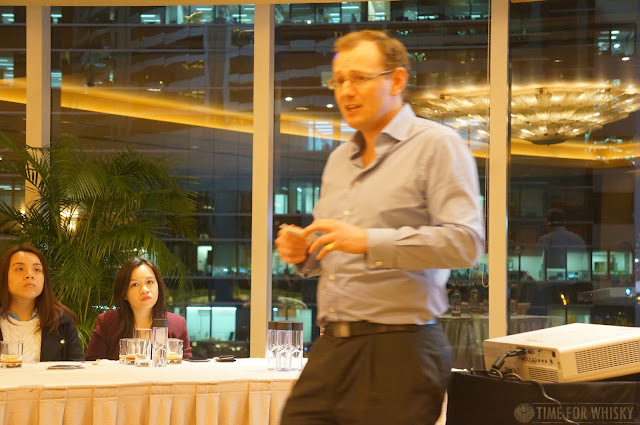 Strong bids against realistic estimates. 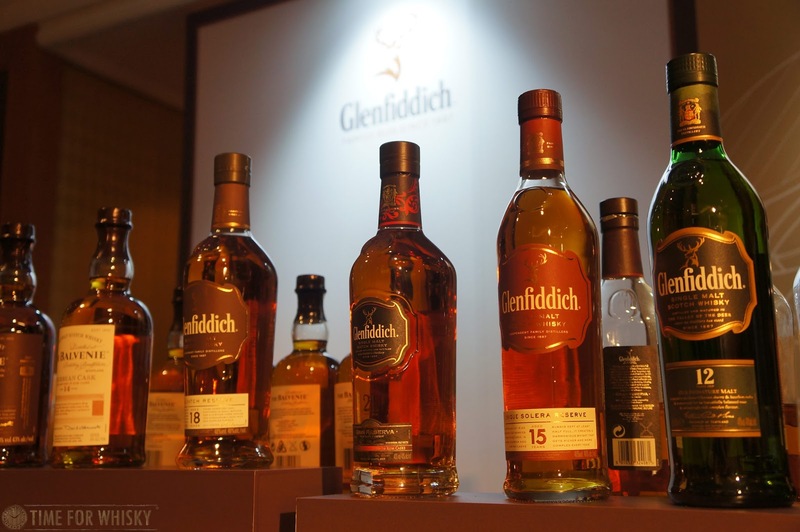 One thing we would have liked to see done differently (though it's a minor point), is splitting up of some of the multi-bottle lots. 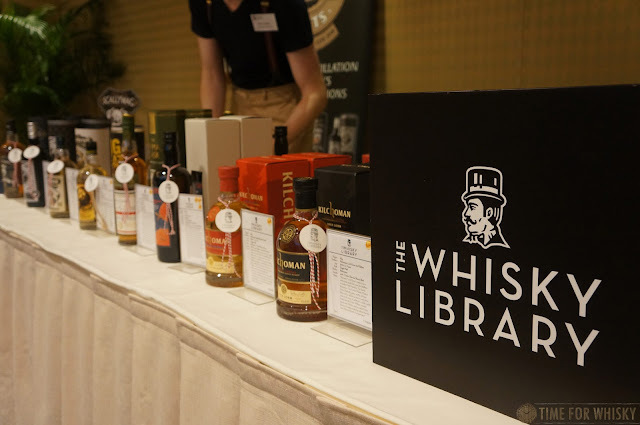 There were a few lots we would have bidded on if they were single bottles (like Longmorn 83 and a few Macallan 18s), but the 6 bottle lot prices were more than we were happy to part with. Still, it's a testament to the seller (and Dragon 8's) savvy that they were easily snapped up. Dragon 8 plan to hold several wine and whisky auctions throughout the year, and we're already looking forward to the next one. 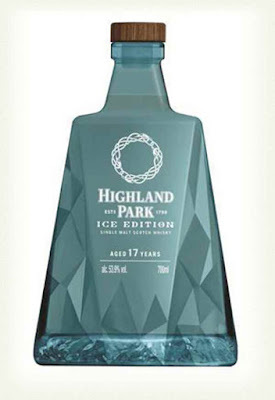 Spotted recently by eagle-eyed US patent-watchers, and just recently posted on Master of Malt's website, is the first of what seems to be a new series of Highland Park limited releases, picking up from where the "Valhalla Collection" left off, following its final release in the series - Odin (which recently launched in Hong Kong). Keeping with the Norse theme (of course), the new series begins with the "Ice Edition", which apparently will also come in a cradle, like the Valhalla Collection's longboats, although this time shaped like a mountain. Matured in primarily ex-Bourbon casks, the whisky is said to most closely resemble the Freya (which we saw launch in Hong Kong in 2014), with a light, fruity nose and hints of peat smoke on the palate. 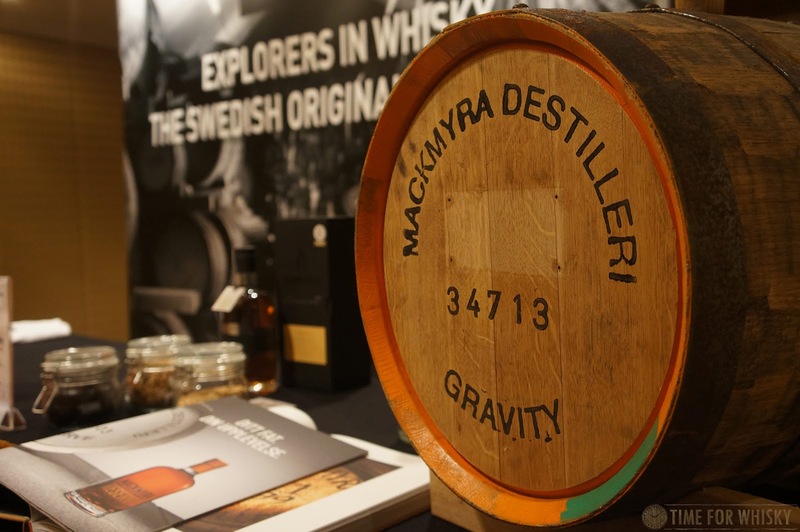 At 53.9% ABV and 17yo, it sounds like one we're keen to get our hands on. 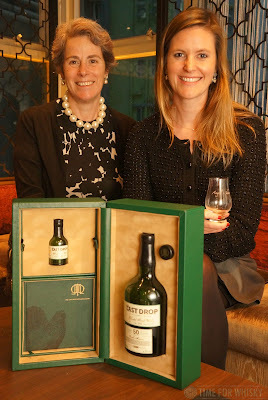 Limited to 30,000 bottles apparently (no exact word on release dates or markets just yet, but watch this space). 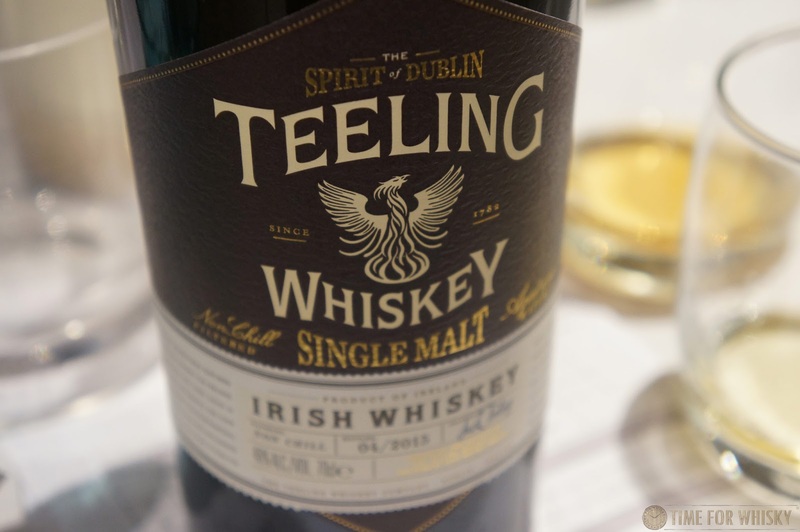 There's probably not much more to say about Teeling Whisky that we haven't already said (suffice to say, we're fans). 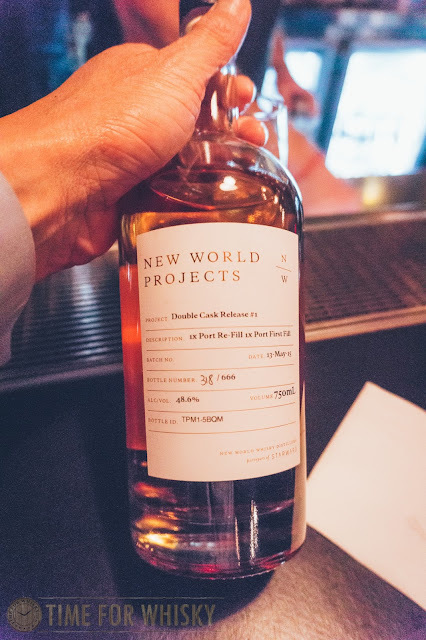 In three years the range has grown to 46 countries, and the new limited edition "The Revival" 15yo Single Malt will soon be available in Australia. 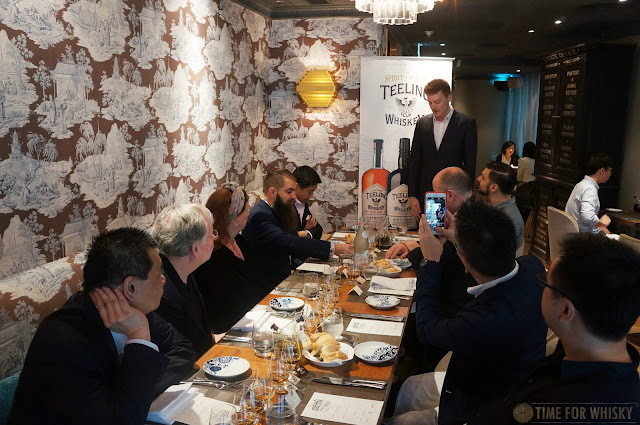 Teeling’s Asia-Pacific Brand Ambassador and Dublin native, Martin Lynch, has helped Teeling grow to become available in Australia at Dan Murphy’s, independent liquor stores and, since 2015, bars too, including some of the country’s top cocktail establishments. 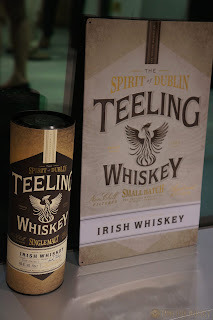 “As an Irishman and whiskey enthusiast, it really is a dream job to be representing such a unique Dublin brand here in Australia. 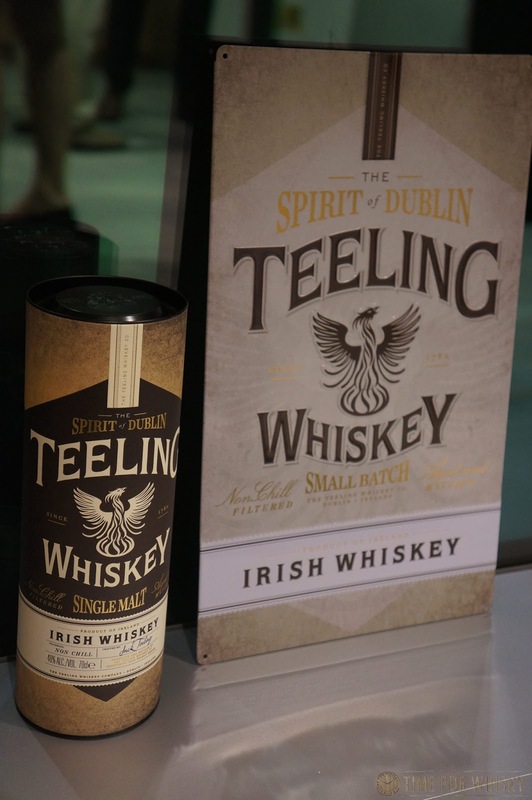 The Teeling brothers have been working extremely hard and we have already won some brilliant awards. Since launching, it’s been great to see the fantastic response to the whiskey from Australian consumers and trade,” says Martin." 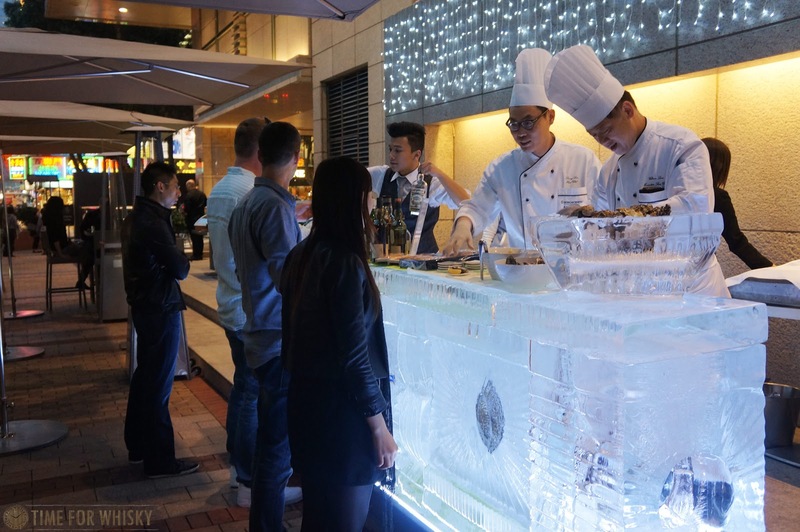 Booking: online via http://www.1806.com.au/activity/st-patricks-day/ call 03 9663 7722, or stop by the bar to pick up your tickets. 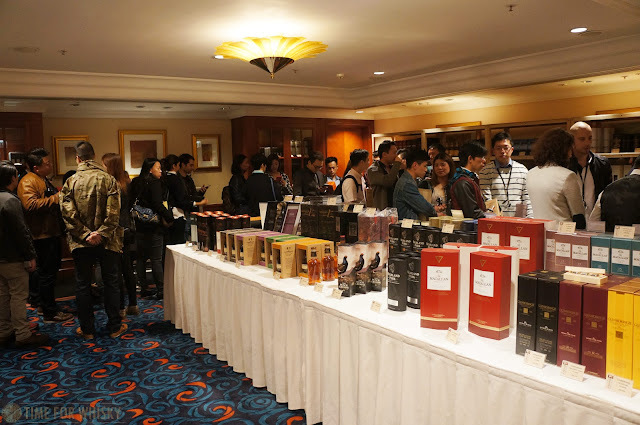 The Hong Kong whisky auction scene is certainly popular the moment, with a number of high profile auction houses (led by Bonhams, whose latest auction we recently attended) and equally high profile lots (like the $900k+ HKD 52yo Karuizawa during "peak Karuizawa" last year). 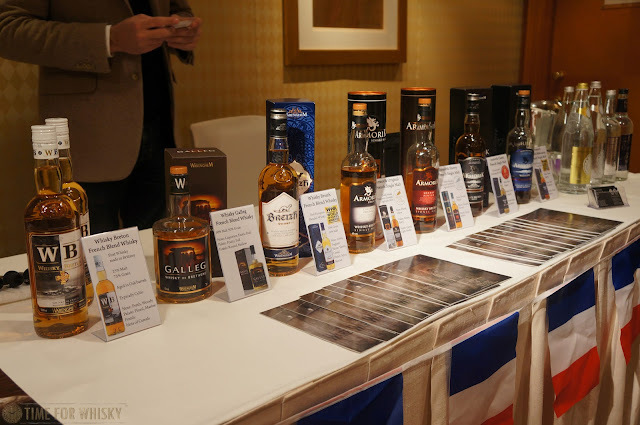 We met a few of the staff (and Founder Gil Lempert-Schwarz) at the Hong Kong Whisky Festival on the weekend, and had a chat about some of the upcoming lots, which also include the likes of rare Laphroaigs, a 50yo OB Highland Park, both the 70yo (Glenlivet) and 75yo (Mortlach) decanters from Gordon & Macphail, a few rare Ardbegs and a smattering of Karuizawas. With some lots continue their meteoric rise, and other lots seemingly "cooling off" from the mid last year, this should be an interesting one to watch. 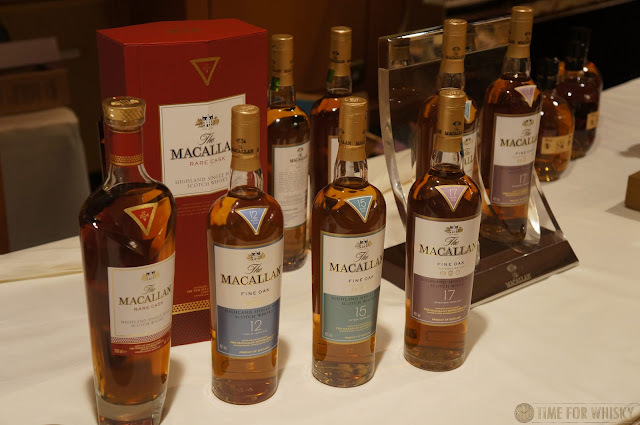 One thing's for sure - those Macallan lots will be popular! Last week we covered the Malt Masters 2016 Whisky Festival preview - the first of Hong Kong's whisky festivals, being held on 27th and 28th February. As if that wasn't enough excitement for Hong Kong whisky drinkers, a week earlier on Sat 20th February, the Intercontinental Grand Stanford Hong Kong are hosting their inaugural Hong Kong Whisky Festival (HKWF). The HKWF also held a preview recently, and while we couldn't be there in person, we've included a few photos below to give you an idea of what to expect. The event will follow a slightly different format to Malt Masters' (which offers unlimited tastings included in the $600HKD ticket price), whereby tastings will be based on tokens, able to be purchased for $25HKD each. 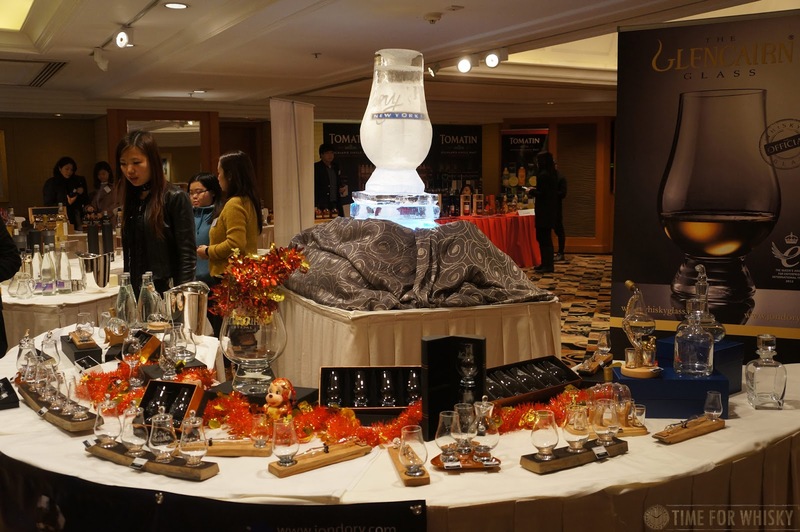 As a result entry will only be $220HKD, which includes two tokens and a tasting glass. 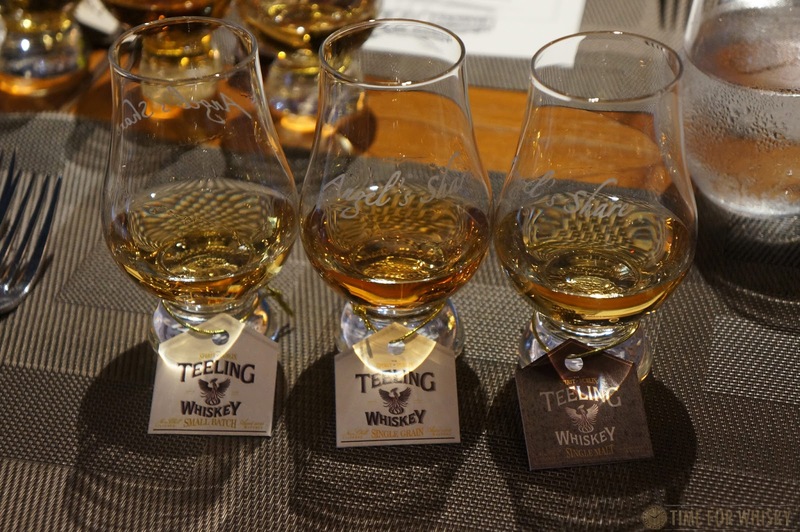 Masterclasses, like Malt Masters, are a very reasonable $200 each. 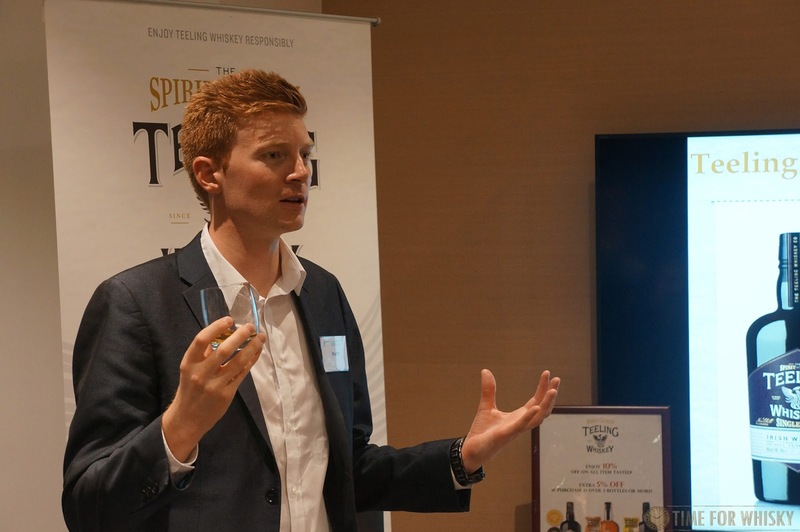 Speaking of which, there will be 10 masterclasses during the day, covering everything from The Balvenie to Abelour, Old Pulteney to Akashi, and many more. There's also a special masterclass with Charlie Maclean, who's returning to HK for the event (lunch and dinner pairings with Charlie are also being offered). 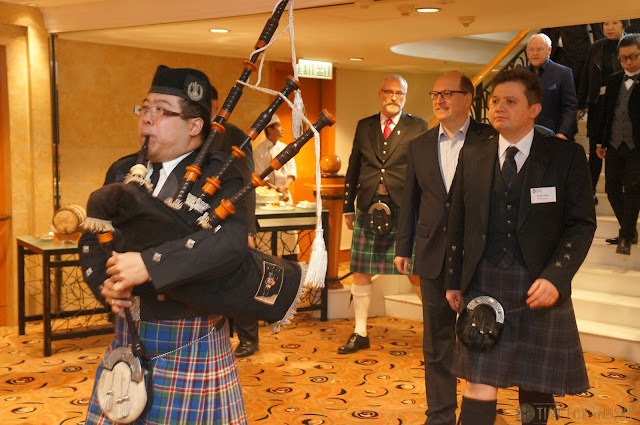 With 57 brands represented (covering whisky from Scotland, Japan, Taiwan, France, Australia, Germany, Sweden and India), food booths, a special "peat pavilion", a discounted "dram shop" and a Scottish piper, we're sure this inaugural festival will be a fantastic one. 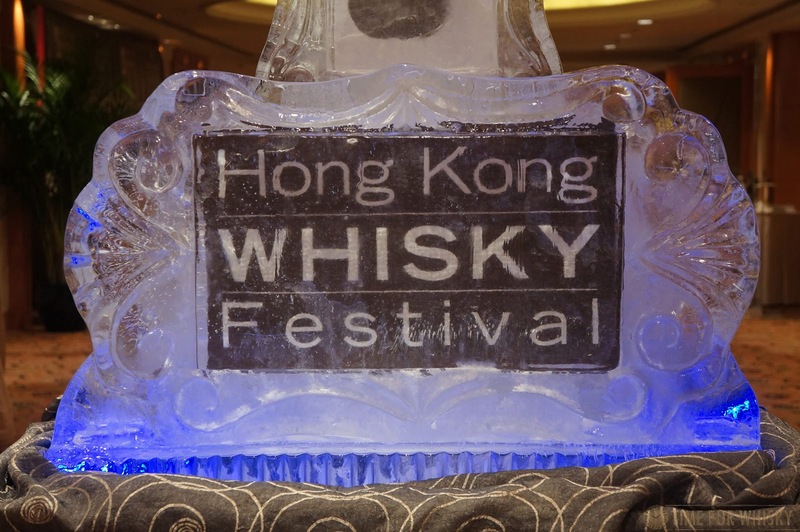 Which of course begs the question....which of the two festivals should you attend? 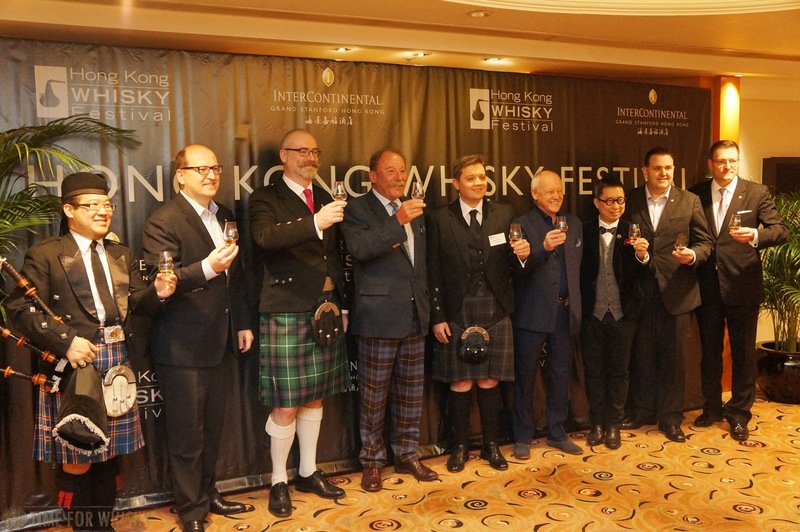 The Malt Masters Hong Kong Whisky festival, as we mentioned back in December, is returning to Hong Kong in a few short weeks, to be held at Conrad Hong Kong on 27th and 28th February. 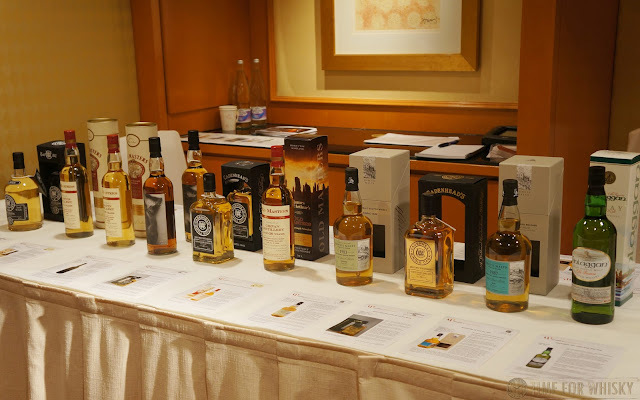 To give give us a taste of what to expect, Malt Masters recently invited media to a private preview and tasting, held in one of the Conrad rooms that will host the festival. 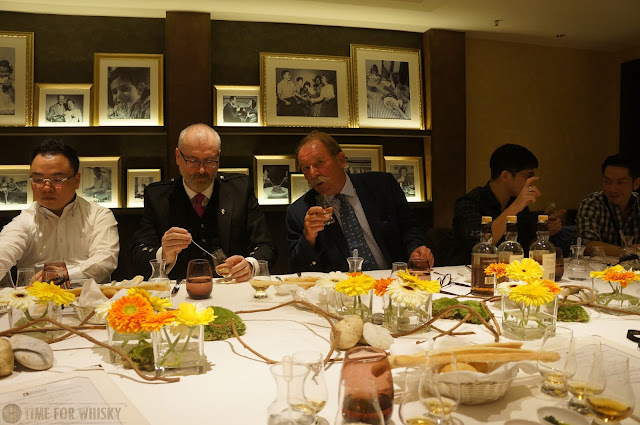 Malt Masters are veterans of the HK whisky scene, having hosted their first festival 3 years ago, and a hugely successful festival in 2015 (which Steph covered here). The Malt Masters connection to the whisky industry goes back much further though, with the father of founder (and good friend of Time for Whisky) Ian McKerrow having previously run the show at Glenmorangie! 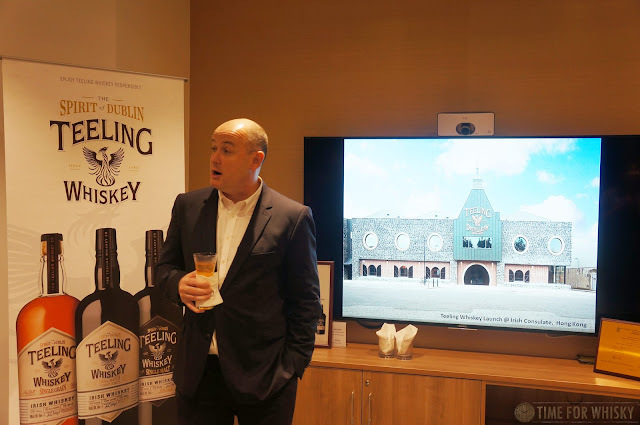 Ian opened the preview with an overview of the festival, focusing on the global mix of malts being represented at the festival this year (a theme to continue in our tasting shortly after). In addition to a number of iconic Scottish malts, the festival will feature American, Irish, Welsh, Swedish, Japanese and possibly even Indian whisky brands - both large players and boutique/craft distilleries alike. Ian also explained that former Macallan and Dalmore Master Distiller David Robertson will be presenting in the VIP room (which will also feature the launch of the 27yo "Prometheus" Speyside single malt and tasting of a 1987 16yo Laphroaig, as well as an impressive lineup of rare and very, very old malts available for purchase by the dram). 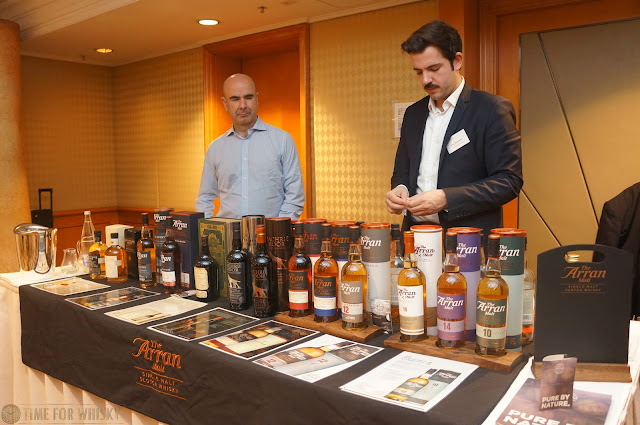 Pairing will also be a big focus of the festival this year, with cigar, cheese and food pairings all on offer (the latter courtesy of Scotch Broth Events). 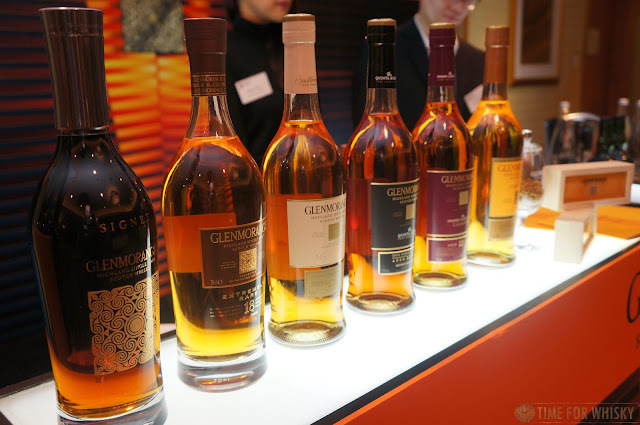 Glenmorangie Companta (which we tasted back in 2014). 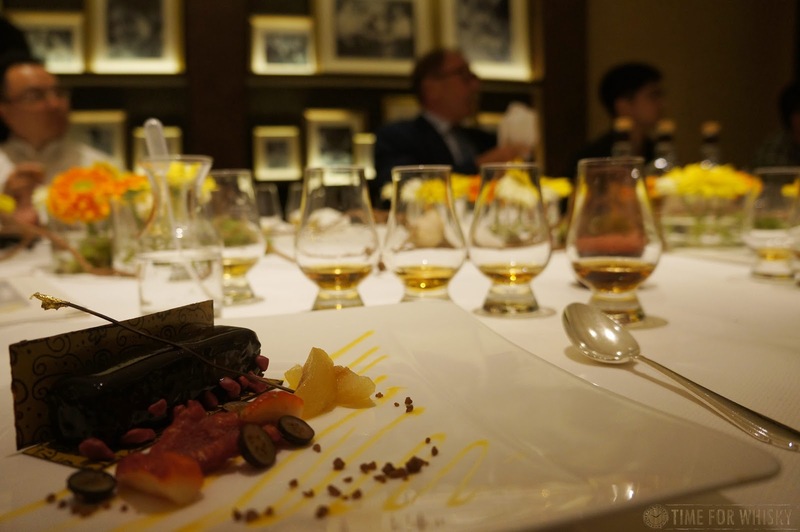 Nose: Sweet and floral. Taffy, sherbert - lots of sweet sugary confectionary. 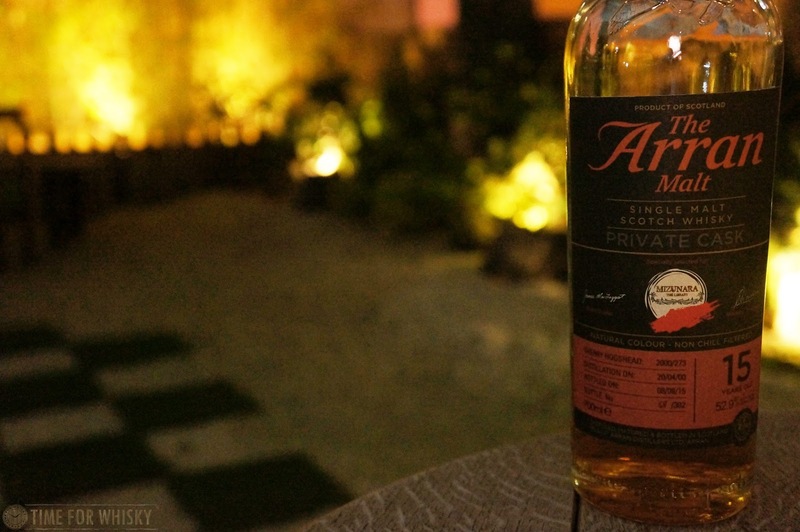 Palate: Youthful but not harsh. Slight chalky rubberiness at first, moving into tropical fruits - passionfriut, bananas, peaches. 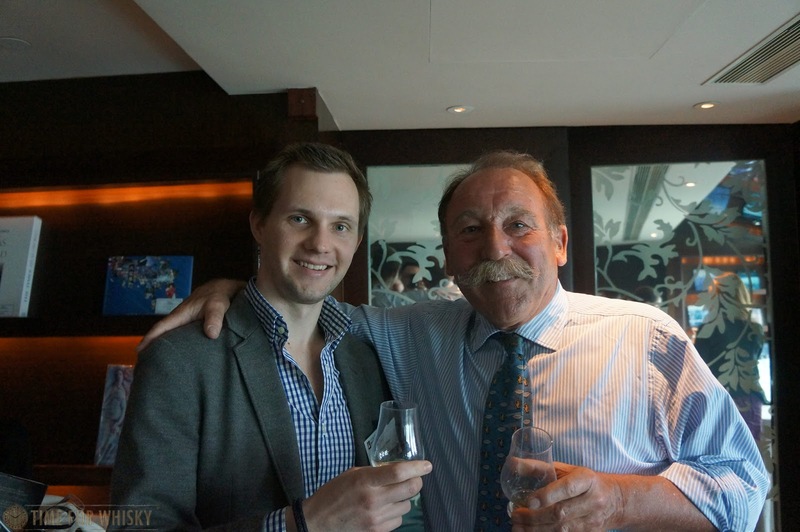 Some grape, white wine (Chardonnay?) style notes. Finish: Medium length. Slightest burn at the very end, with hints of sherbert. 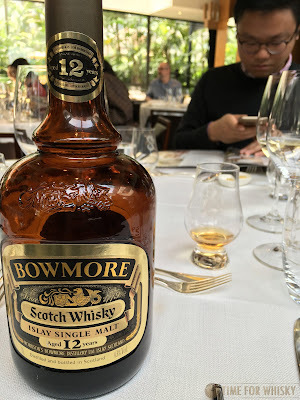 Nose: Spice, pears, and some crème brûlée. 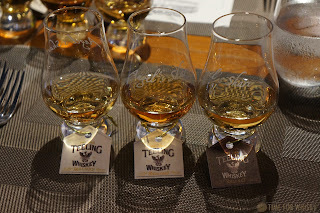 Palate: Lots of saltiness - quite surprising really as it's not a characteristic we usually get on the Yoichi or Miyagikyo (being the two single malts in this blend) - at least the ones we've tried. Some smoked herring, sea air and then just more salt. It's not offputting, just very, very...salty. Finish: Medium length, with the saltiness continuing through to the end. Rating (on my very non-scientific scale): 92/100. Enjoyable, and slightly odd. Nose: Big fruitcake notes, as you might expect, but also sweeter notes of cake icing. Palate: A little closed up initially (understandable considering the 60%+ ABV). 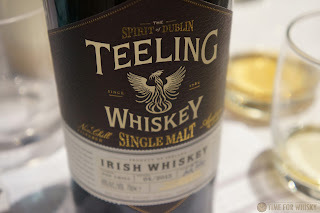 Rich, quite a bit of oak, with cherries and a slight nuttiness. 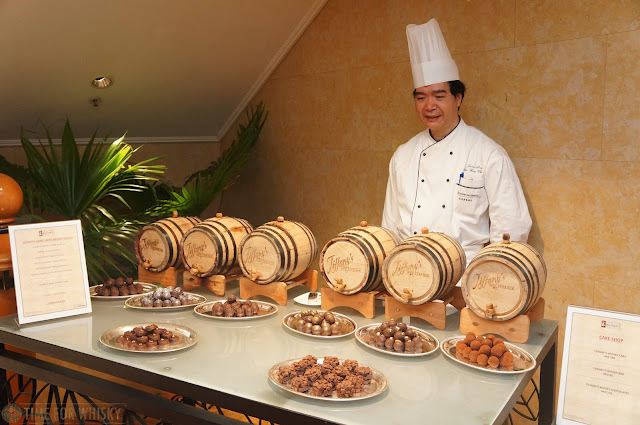 With some water there's a lot of spice, and the nuttiness (Brazil nuts now) gets turned up significantly. 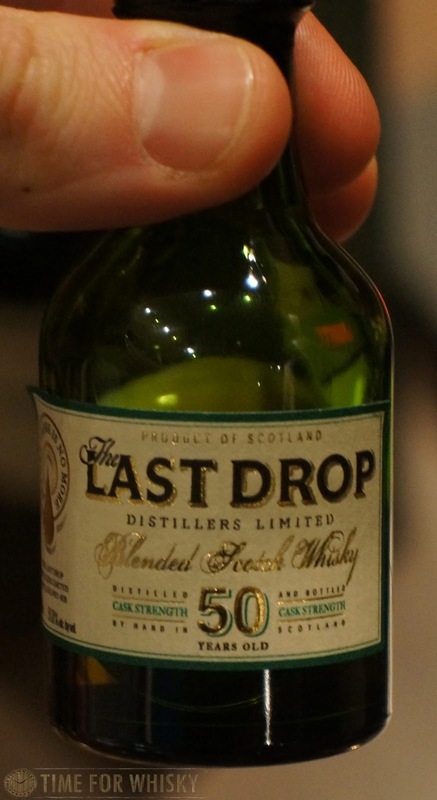 Finish: Medium length, slightly tannic, and spicy to the end after a few drops of water. Rating (on my very non-scientific scale): 91/100. 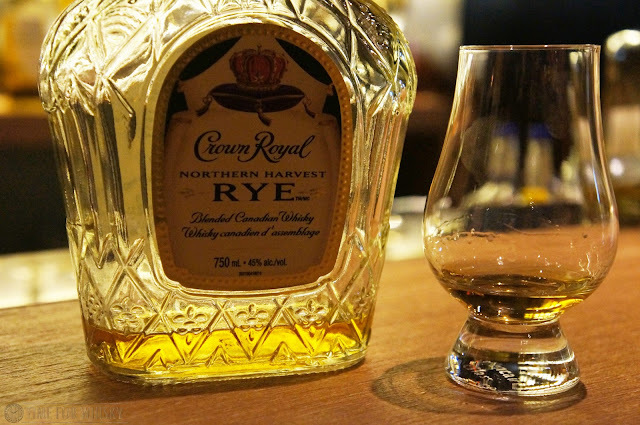 I tried the non cask-strength version and found it didn't really blow me away. I was hoping this would - but it didn't. 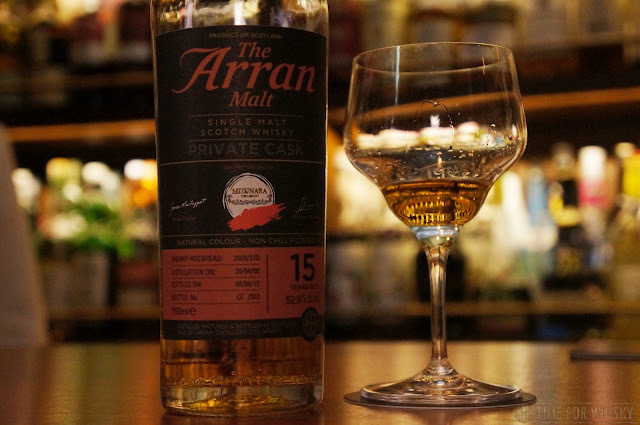 An enjoyable dram, no doubt, but I'd happily take an A'bunadh or even a GlenDronach 15 over it, if looking for a heavily sherried whisky. 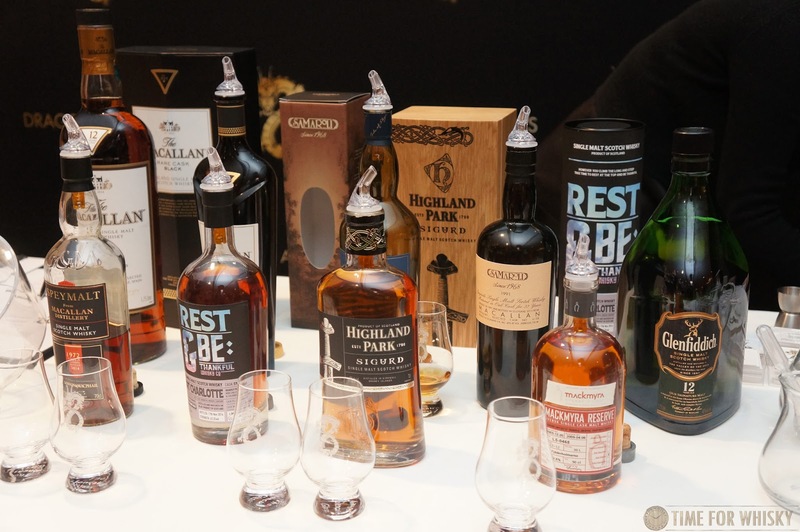 In addition to the festival booths and master classes, Malt Masters HK will feature Dream Drams (all attendees will get one token), a branded Glencairn, unlimited tastings, a charity raffle, dining discounts and discounted whisky sales. With all of that, we have no doubt this year's festival will be a big success. 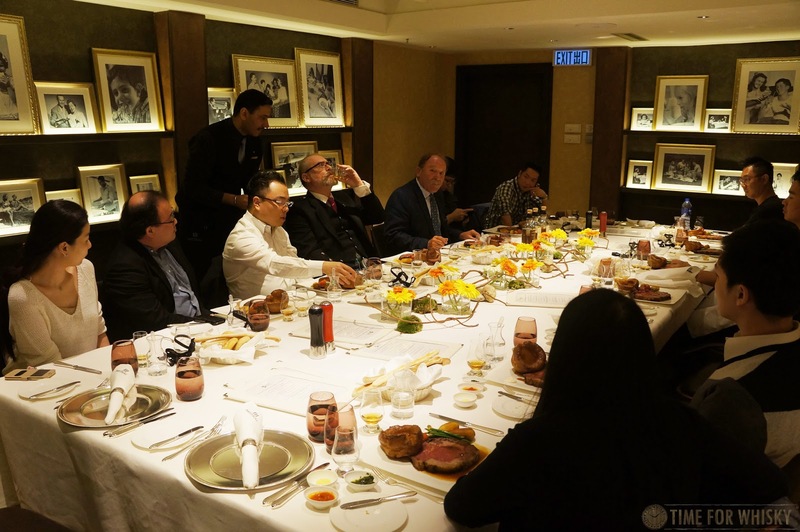 Tickets are available now for $800HKD (day ticket), with masterclasses at an extra $200HKD, and VIP room tickets an additional $400HKD. Tickets can be purchased here for Sat 27th Feb, and here for Sun 28th Feb.